Beautiful Music For Any Occasion! Christine Robinson is a well known musician in the greater Charlotte, North Carolina community. 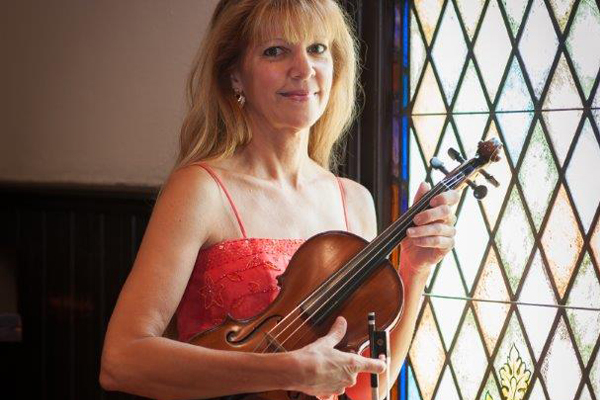 Christine has been a professional violinist for over 25 years. 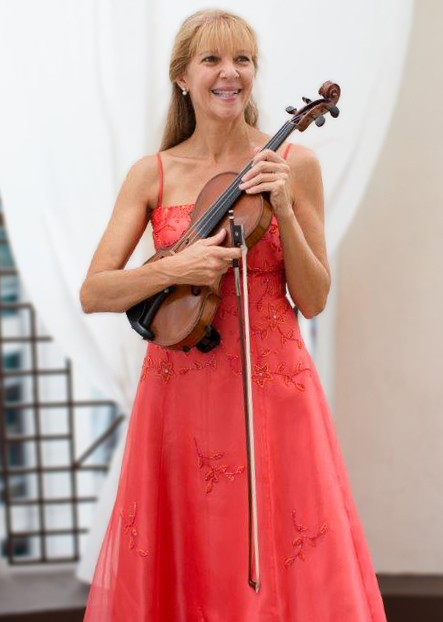 As an accomplished violinist, she has performed at countless wedding ceremonies, receptions, social events, and private parties. 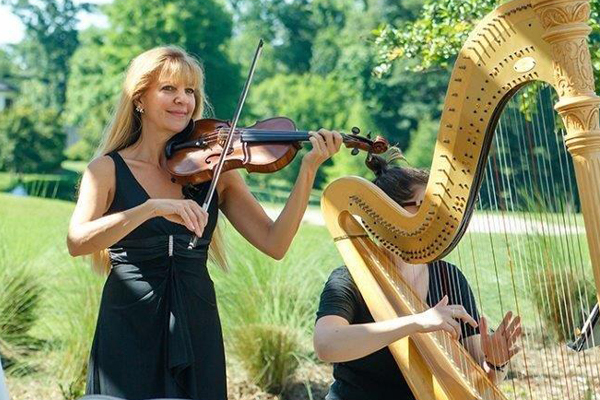 She will add class and elegance to your special moment playing music from the heart. With years of experience, Christine will help create just the right mood being sensitive to the uniqueness of each event. Live music makes all the difference – it has an expressive warmth that is able to stir the heart and soul. Please feel free to look over some of my reviews. Contact me to see if my services will be a good fit for your special event. Your wedding – a day you dreamed of all your life! I have performed for over 1300 weddings and it is still my dream to help each couple to have the best experience possible! Yes – weddings are my specialty! Why live music? A CD does not have the heart and soul of a live musician. No need to worry about the unpredictable things that may occur. I am able to play songs without music, keeping an eye on all movements and work through it musically. We are fine with indoor and outdoor weddings. No need to stress over the songs selections. I will go over all the music selections with each couple providing insight into that part of the ceremony. 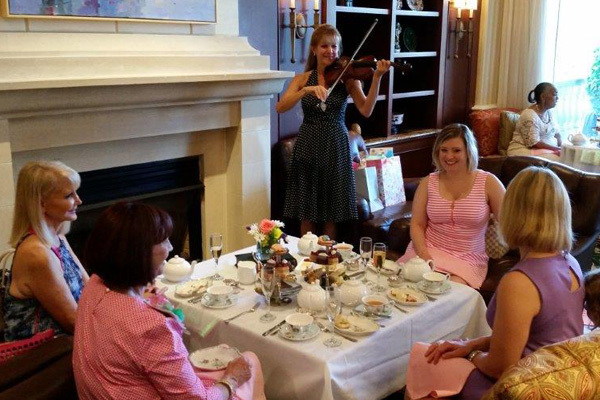 The violin is a refreshing idea for the cocktail hour as well. I can continue after the ceremony playing a whole different style of songs. This is a fun time for everyone as I can move the area taking requests and playing favorites from bluegrass to contemporary and classical music! 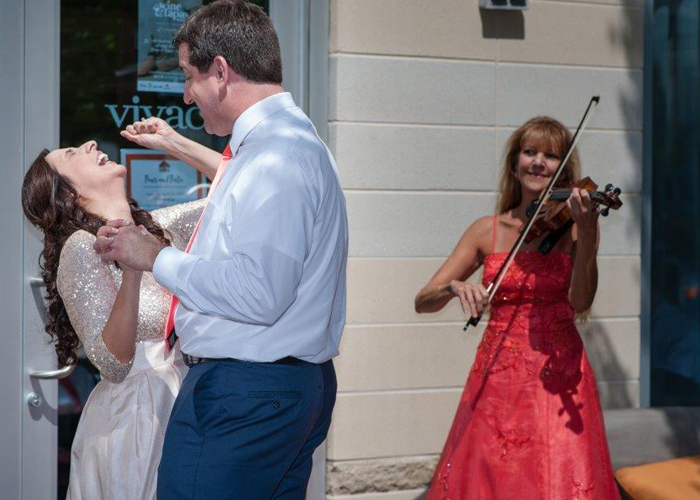 After the wedding, your guests will remember the music – a major part of your wedding day! Here is an unique idea for your Anniversary. Invite Christine to play table side at the restaurant of your choice! She can walk in as dinner is served and surprise your spouse with a favorite love song. She is familiar with many decades of love songs and will talk with you about the how to set the mood and make the evening special for just the two of you or a room full of guests! If you know someone celebrating a special birthday and need a fresh idea, how about hiring Christine to show up at the workplace or other unique place to walk in playing happy birthday! When it comes to gifts, some friends and family we know just have everything. The gift of music played in person as a surprise is often overlooked but will surely be remembered long after the birthday is over. 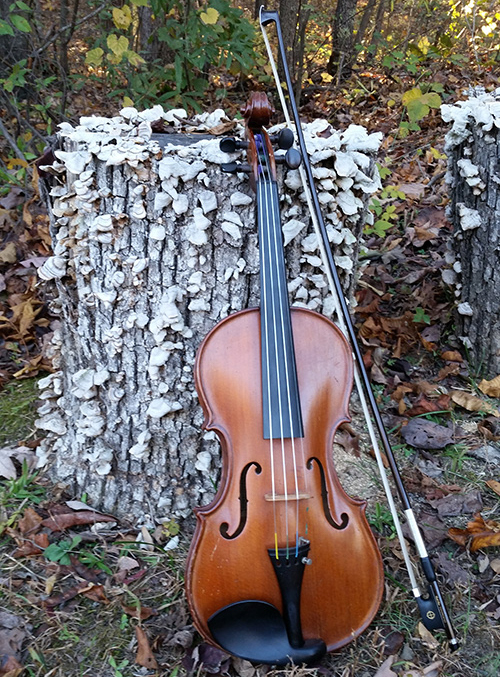 It’s basically an old idea brought back with a new twist – the violin! Wondering just what to do for that special person who is about to retire? 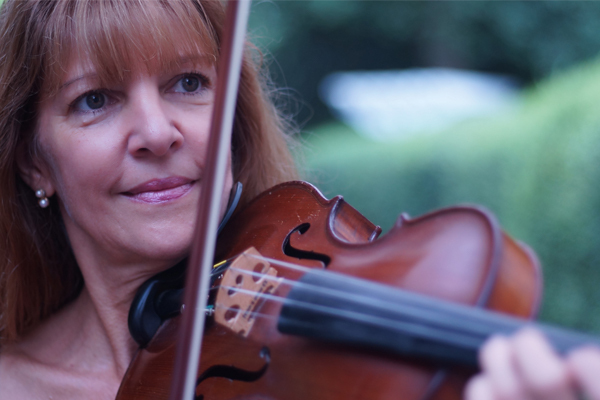 Christine has performed for many Retirement parties and would love to add that special touch through music. She can even be a surprise if appropriate. She will add class to the cocktail hour and then move the room as guests sit down to enjoy the meal with the guest of honor. Adding just the right song at the right moment will be a memory that lasts! Picture an evening with friends celebrating your unique special event with a wine dinner in your home or at your favorite restaurant. Adding Christine to play a variety of favorites will add just the right touch! These are moments where you want soft expressive music to add warmth to the evening. 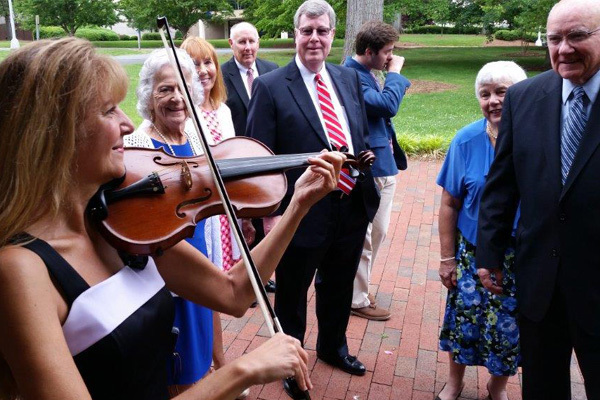 As always, Christine will be able to take requests and play the songs that your guests will appreciate – the right song at the right moment! 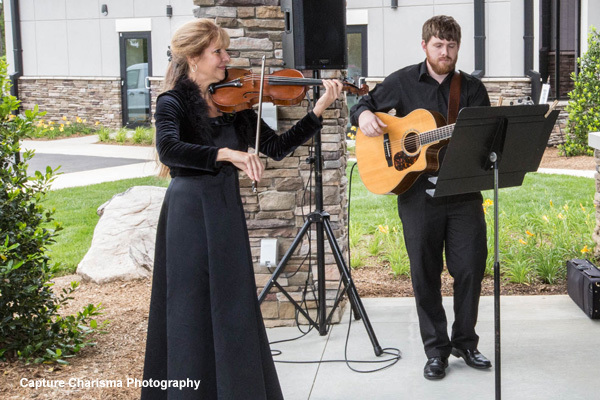 As you plan the music to be played for a funeral service, consider Christine to add the songs that will have meaning and represent your loved one’s life. Over the years, she has played for funeral services, celebrations of life, the viewing as well as graveside services. 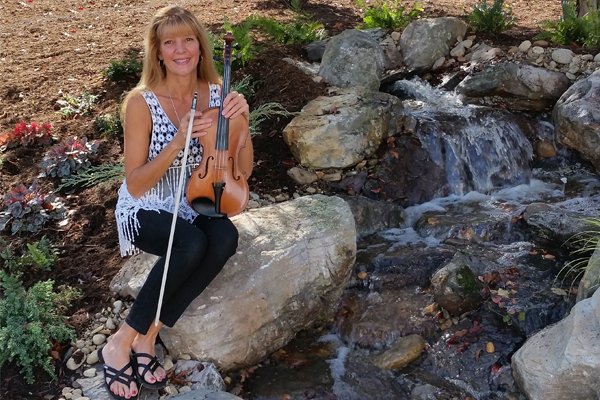 Playing regularly at most of the assisted facilities in the greater Charlotte area, chances are that she has played for your loved one and was able to touch their heart while living there. She will work with you to honor and celebrate the life of your loved on during this difficult time. Picture a very romantic place with just the two of you . . . moments later, the violin plays and you fall to your knees asking the most important person in your life to marry you. That moment will last a lifetime when you involve Christine playing just the right song. She will be sensitive to the moment and add that special song at just the right moment. Feel free to contact her with your ideas and she will do her best to help you pull it all together! We all love a good Holiday Event! 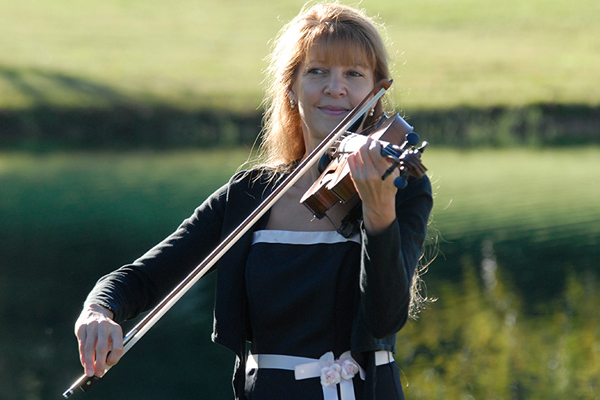 This year as you plan your Holiday Event, Christine would love for you to consider adding some violin music to the mix. 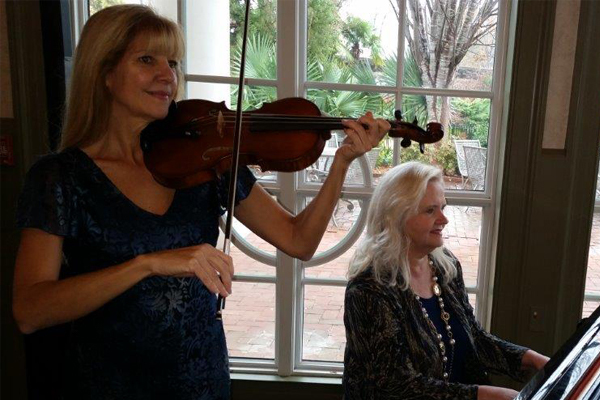 Having played for 25+ years, she will add that special touch to your event by playing familiar Holiday songs and interacting with your guests. From a simple Holiday wedding to a large corporate function, Christine’s experience will complete your event and help make it special for all involved! Contact her soon to check for availability. Please enjoy some of our sample music. Let me help you Make your Moment Last a Lifetime!